The warm, flavour-packed broth, the smooth noodles, the beautiful boiled egg topping… ramen is a great comfort food. 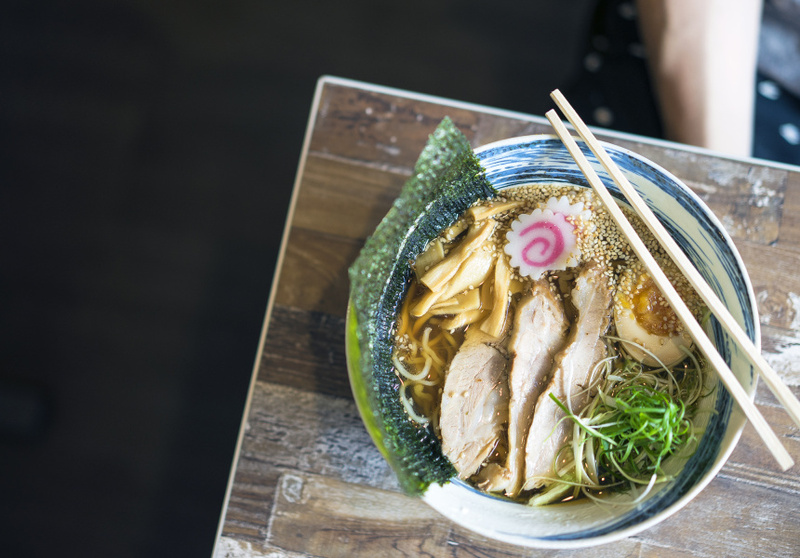 Luckily for us in Sydney, there are a lot of great places to eat ramen. Here are a few great spots that you can visit for lunch or dinner today! Yasaka has something for everyone – for those who seek spicy flavours, you can order Spicy Ramen or Spicy Black Garlic Ramen (ranging from level 0.5 to 3). For vegetarians, you can have the Veggie Shoyu Ramen. If you still have some space in your stomach (or sharing with friends), don’t forget to try out their Karaage Curry Rice too! Don’t let the location discourage you – Gumshara is indeed inside a food court, but its thick pork broth shows that its ramen game remains strong. For the faint-hearted, you can also ask to make the ramen a little less thick and salty. With presence in Korea, Singapore, Malaysia, Taiwan and Australia among others, Ippudo has become an international brand with guaranteed quality. The toppings are a bit expensive, but the premium ingredient makes them all worth it! For the sides, try the succulent pork buns. In Ikkyu, texture is king – the firm ramen noodles will allow you to have a good bite, and get you wanting for more. Combined with tasty soup base and generous topping, Ikkyu will leave you full and satisfied. The place might be small, but the ramen in the bowl packs up big flavours. All the stocks for the ramen are made on the site, ensuring the freshness of the ingredients. If you want some addition, order the deep-fried soft shell crabs and the chicken karaage on the side.